Arhbarite: Mineral information, data and localities. 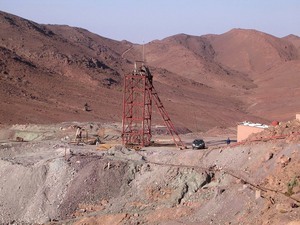 Named by K. Schmetzer, Gerd Tremmel, and Olaf Medenbach in 1982 after the type locality, the Arhbar mine, Bou Azzer, Morocco. This page provides mineralogical data about Arhbarite. 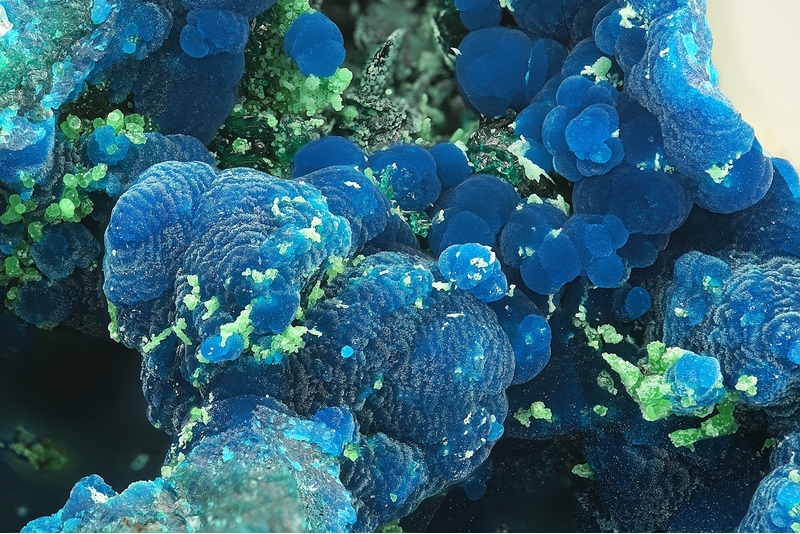 Found in botryoidal clusters of tightly radially grown crystals. 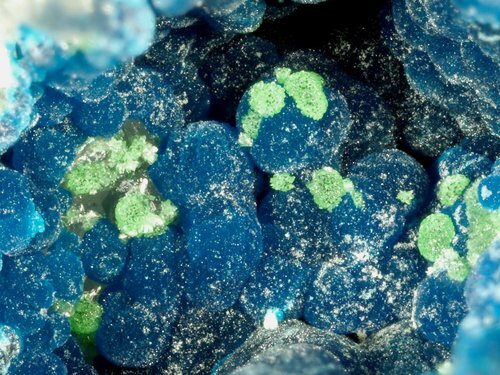 Conichalcite 27 photos of Arhbarite associated with Conichalcite on mindat.org. Guanacoite 13 photos of Arhbarite associated with Guanacoite on mindat.org. Gilmarite 12 photos of Arhbarite associated with Gilmarite on mindat.org. Enargite 4 photos of Arhbarite associated with Enargite on mindat.org. Quartz 1 photo of Arhbarite associated with Quartz on mindat.org. Dolomite 1 photo of Arhbarite associated with Dolomite on mindat.org. Malachite 1 photo of Arhbarite associated with Malachite on mindat.org. 42.6.5.1 Strashimirite Cu8(AsO4)4(OH)4 · 5H2O Mon. Schmetzer, K., Tremmel, G., Medenbach, O. (1982) Arhbarit, Cu2[OH|AsO4]•6H2O, ein neues Mineral von Bou-Azzer, Marokko. Neues Jahrbuch für Mineralogie, Monatshefte: 1982: 529-533. Dunn, P.J., Grice, J.D., Fleischer, M., Pabst, A. (1983) New mineral names. American Mineralogist: 68: 1038-1041. Krause, W., Bernhardt, H.-J., Effenberger, H., Kolitsch, U., Lengauer, C. (2003) Redefinition of arhbarite, Cu2Mg(AsO4)(OH)3. 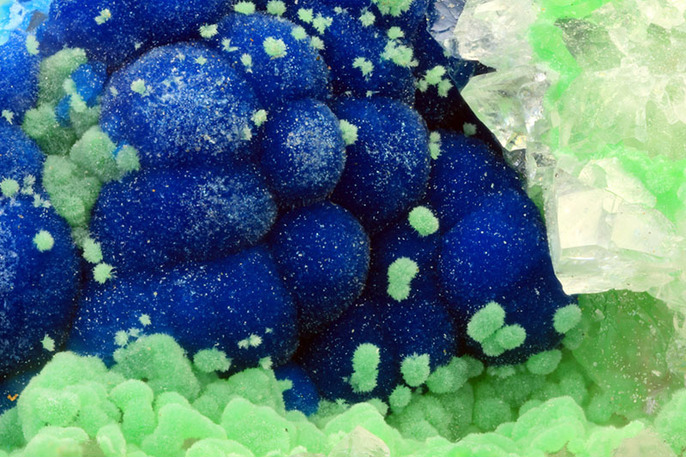 Mineralogical Magazine: 67: 1099-1107. Jambor, J.L., Roberts, A.C. (2004) New mineral names. American Mineralogist: 89: 894-897. Schmetzer, K., Tremmel, G. and Medenbach, O. (1982): Arhbarit, Cu2[OH|AsO4]•6H2O, ein neues Mineral von Bou-Azzer, Marokko. Neues Jahrbuch für Mineralogie, Monatshefte 1982, 529-533; Krause, W., H.-J. Bernhardt, H. Effenberger, U. Kolitsch and C. Lengauer (2003): Redefinition of arhbarite, Cu2Mg(AsO4)(OH)3. Mineralogical Magazine: 67, 1099-1107.